SGA Architecture’s project, Morris Square Urban Infill, has been recognized by the Tri-State American Society of Landscape Architects with a Merit Award in the category of Analysis and Planning. The Tri-State ASLA includes landscape architects and land planners from South Carolina, North Carolina, and Georgia. 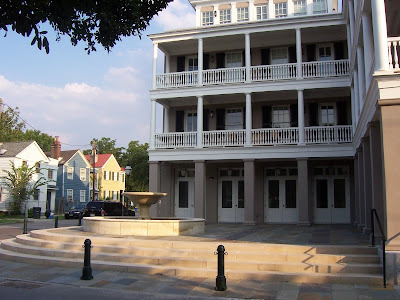 Morris Square was developed by Vince Graham of the I’On Group with cooperation with the City of Charleston Department of Parks. Thomas and Hutton were the civil engineers on the project. Morris Square Urban Infill is designed to be an integrated part of its surroundings, filling a void between Radcliffeborough and Cannonborough/Elliotborough with a new pocket of urban fabric. 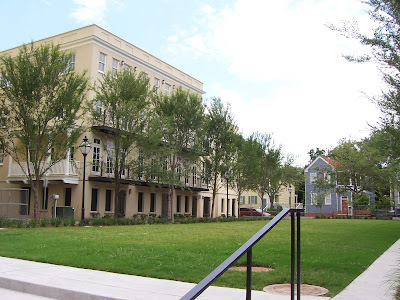 Occupying a privately owned vacant lot, in phase 1, and a City owned park, in phase 2, the project continues a tradition of organic infill that characterizes much of the Charleston Peninsula. The Master Plan for Morris Square draws inspiration from Charleston’s network of walkable streets, tree-shaded parks and urban niches, happenstance or planned as they may be. They are inspired by the gilmpses of hidden gardens, views through iron gates to hidden courtyards, brick paths to places beyond our public reach and the small ancillary spaces carefully adorned by flowers and planted urns to with the passerby is briefly privy while walking slowly down the streets of Charleston. SGA wishes to thank all who worked on this project for their hard work and dedication in creating such a unique space in downtown Charleston.